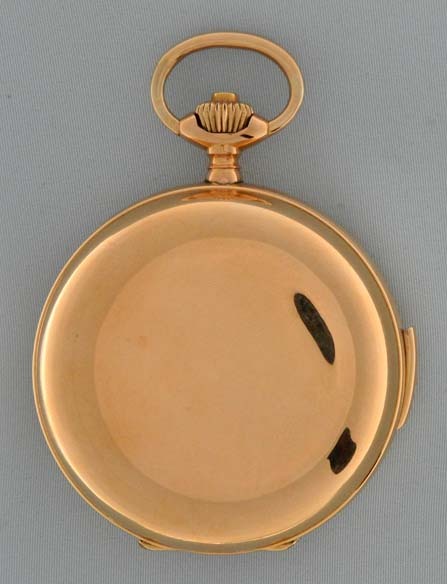 Very attractive Swiss 18K gold automaton quarter repeater antique pocket watch circa 1890. 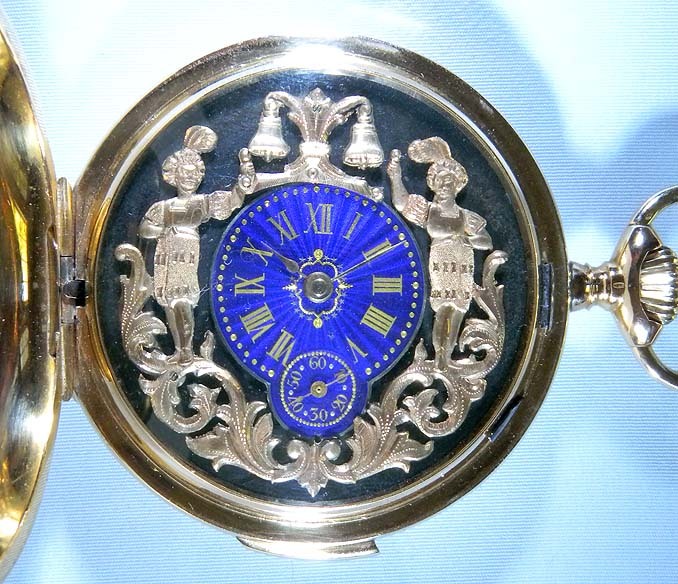 Costumed gold bell strikers flanking a blue enamel dial against a blued steel background. 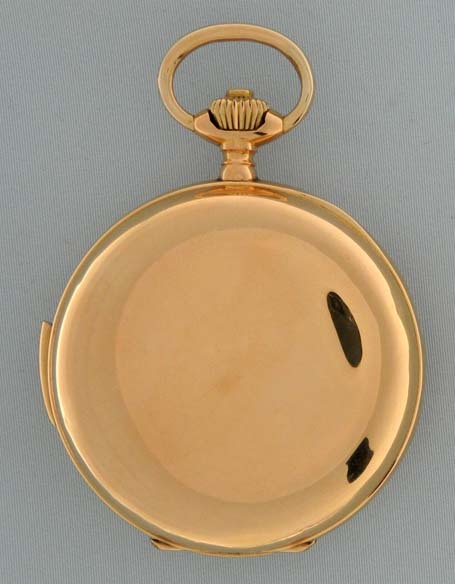 Plain polish case with repeat slide in the band, the dust cover with movement details, with both gold and glazed dust covers. 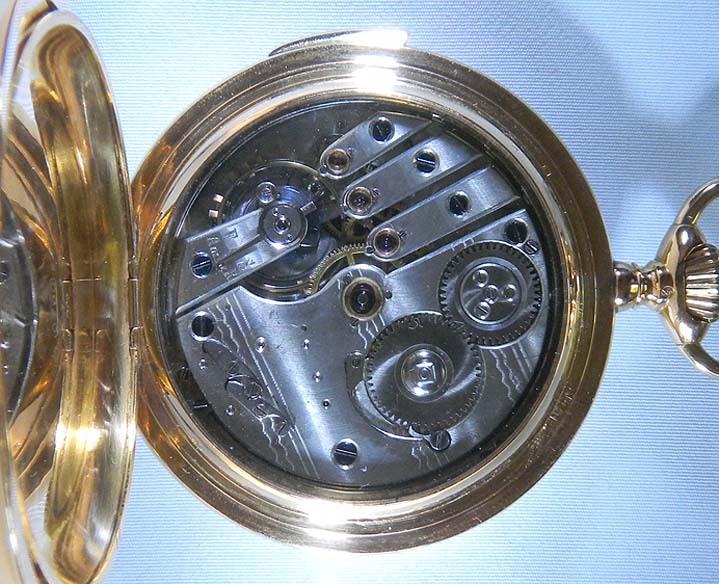 Good 15 jewel nickel movement with screwed jewel settings. 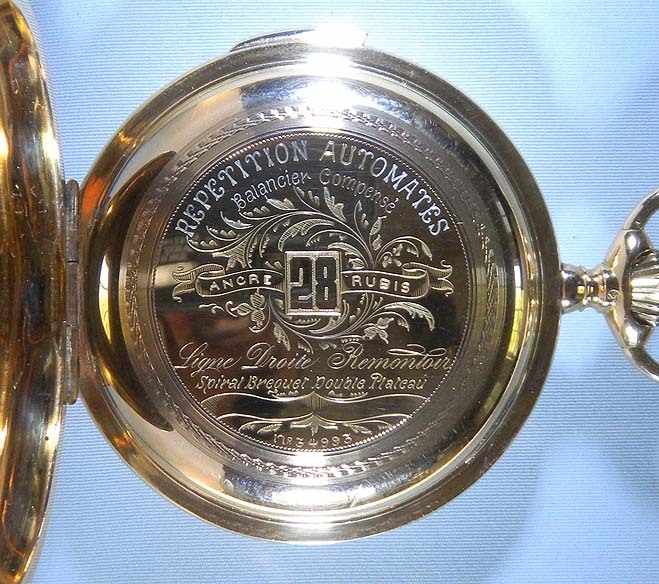 When activated this watch chimes the hours and quarters on two gongs with loud and clear tones.